I’m struggling to write a post – several of my regular readers have remarked about how inspiring they usually find my writing. So when bad things happen, should I stay away until the situation improves? Or should I just open up and share what’s on my heart? I choose the latter. A friend of mine is in some hot water. I don’t know why, I don’t know how but I know I can’t help. It’s really bothering me. I’m having my share of issues with things not going the way I planned and feeling like time is running out without much progress. I was disappointed so many times this week that I feel like I reached a new record. All that pales in comparison with coming out of my shell to find the nation at war. Again. This time, it feels like a civil war where no side is the right side, with people screaming bloody murder at each other, both of them justified in saying so. I was at a meeting late last night, trying to move forward in my life, working hard to improve myself, working to make myself more valuable so I can contribute more to my society. Then I hear news of yet another tragedy. Cops shot. 5 Killed. Executed. Just for wearing their uniform. I know horrible things have been done. Heinous acts have been committed against people of color, indeed against everyone. But targeting a group of people because of the color of their uniform is no different from targeting a group because of the color of their skin. There is no justification for any of this. And my heart hurts. But I can’t cry. Because I have no tears left. So much sadness. Loss, personal crisis, issues my friends are facing, mothers hurting because their babies lives are in jeopardy. And yet, even amidst the violence and the senselessness and the hurt and the empathy, the bills keep on coming. We still have plans to make. We still have things to do. Sometimes it feels like the end of the world. But just in case we have another day, we have to be prepared for it. 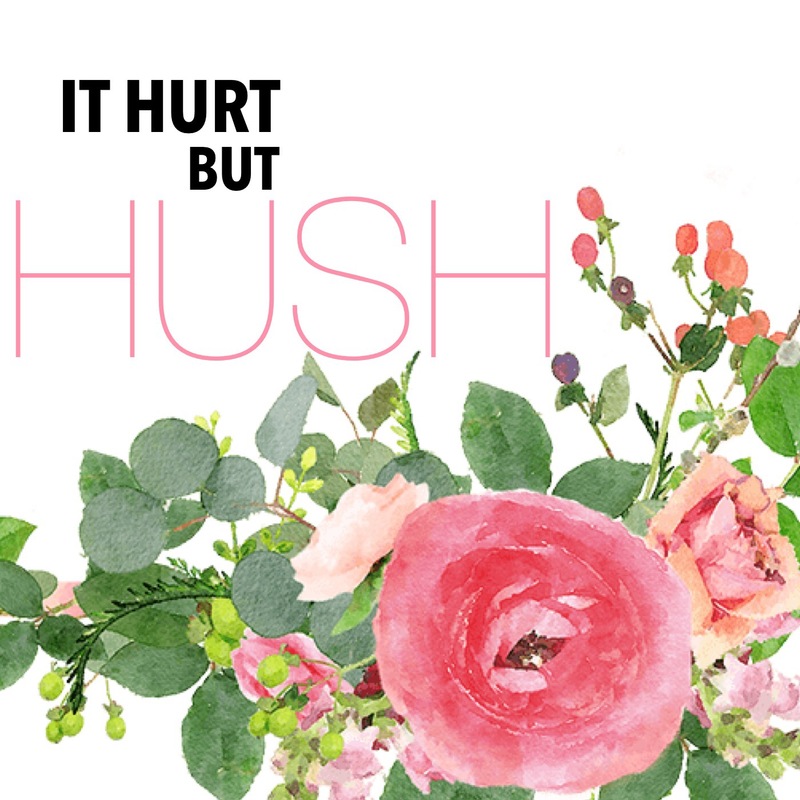 It’s a phrase I used to hear my mom say when I was a little girl – I’d bruise my knee or something and she’d rub a little something cool on the skin and send me on my way saying, “It hurt but hush.” Keep going. Even when it feels like there’s nothing to move to, we have to keep moving. Because right here is no place to remain. And I pray that in the coming days, we can achieve enough distance from our heartaches to find something to smile about and someone to share that smile with. the world is hurting, the pain is palpable but, even amidst all of the darkness I’ve seen glimmers of hope. They’re there, hope is there. Thanks so much for your comment. I read it on the go and forgot to reply but I must let you know it came at exactly the right time. Your words did a lot to make me feel hopeful. Thank you, Shaunacey, and I hope you have a wonderful week.